David loves high-end gear, high-end sound and preferably high-end recordings. His system and meticulous attention to quality recordings is evidence of his dedication and intense interest in very musical two-channel audio. David: It was 1969 and I was travelling in the back of the family VW Beetle and heard David Bowie’s Space Oddity on the radio. I was only 8 at the time but I have a memory of it like it was yesterday. It eventuated that Bowie became my favourite artist and I’ve seen him in concert 6 times. 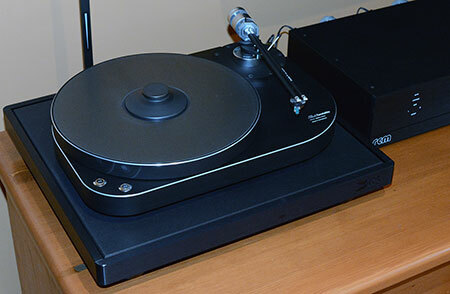 D: From around 14 years of age I had a very basic AWA turntable with a built in amp and matching speakers. I think it was a birthday present or the like. Before that I had a cassette tape recorder and I’d record songs off the radio. What started me on getting better equipment was earning money working part-time after school, and a small HiFi shop 30m from my work helped also! By the time I entered the workforce full-time I was hooked on HiFi! 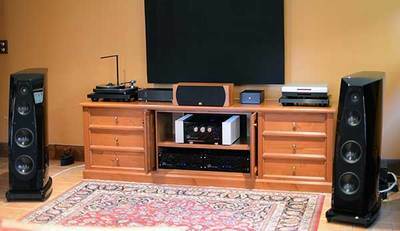 On the Sydney northern beaches where I lived at the time we had Riverina HiFi selling Linn/Naim gear so access to good gear and good sound was easy. That was the era of “source first” and by 21 I already had an LP12 turntable & Naim pre/power amps. D: Hopefully it has arrived. Over the last 3 or so years I have upgraded every part of my system. From the outset I had a plan that this final system would be my ‘last upgrade’. I wanted to avoid the losses through depreciation that come with continual upgrades. Fortunately I have a very good relationship with an excellent dealer. I not only benefit from his wealth of knowledge/experience but I am also able to audition in my home. I’ve been able to put together a group of components that are not only reference quality, but more importantly, all work very well together. 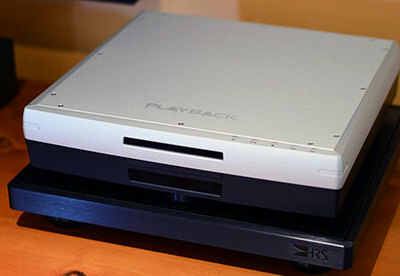 The first thing I tried was the Playback Design MPS-5. The folks at Pure Music Group in Melbourne didn’t know me from a bar of soap at that time but had no concern with shipping me a new player to evaluate. If I can give the fellow there a free plug, his name is Warwick Freemantle. D: It would have to be a toss-up between my Rockport speakers and the Thales turntable & tonearm. I love them both. Both components not only sound great but look great too. D: I just have a couple of finishing touches with some of the room treatments to make them more wife friendly. Otherwise I’m just buying music… the eternal search for mint 70s UK/US 1st press LPs. When I get the right recordings they are quite an improvement over my Australian LPs. TW: Do you think you might eventually get into hi-res downloads? D: I could for some music, but I like to have the physical media. With the Playback Design player I can plug in and use the DACs. But I like that I have to get up to change LPs. And if you have to get up you don’t tend to fall asleep [loud laughs from both!]. And with the Lyra Atlas cartridge you don’t want to wear it out at the end of the records, so that keeps me awake! D: That’s difficult. Over the years I’ve certainly heard some impressive systems but as your own system gets better those memories fade away. Earlier this year when I finished my system I have to say I was sometimes stunned at how good things sounded, especially with music I have been listening to for 40 years. For the wrong reasons I remember hearing a set of very tall (8 feet I think) and expensive electrostatic speakers at last year’s Sydney AV Show. They were certainly detailed and fast but they just didn’t present a lifelike image/soundstage – Johnny Cash’s vocals & guitar sounded as big as the speaker. It was like I had my head inside the guitar! The sound itself was great with great timbre control, but everything was just too much larger than life. It was like I was the little person in the land of the giants. D: I sold my Linn LP12/Ittok/Asak many years ago (due to finances and forthcoming marriage) and for many years I really regretted that. Although I have to say the Thales combination is for me way better. I wouldn’t go back to a suspended turntable. D: Yes, I’ll use both well recorded and not so well recorded music that I like and am very familiar with. There is little point in a system that doesn’t let you enjoy your favourite ‘non audiophile’ music. However I do avoid listening to excessively compressed/poorly mastered versions. Blind Faith, for example, is far from a sonic masterpiece (like a lot of rock from that era), but I have been amazed at how good the CD (MFSL) can sound not to mention the MFSL LP I’ve since picked up. D: Probably 80% of my listening is late 60’s onwards rock/prog rock/pop, 15% classical and the remainder jazz/blues/soul. I’m a huge Joni Mitchell fan and over the last 4-5 years my interest in classical has really developed. My favourite artists include David Bowie, Pink Floyd, Led Zeppelin, King Crimson, Eric Clapton, Roxy Music… the list goes on. For classical: Beethoven, Mahler, Tchaikovsky and Chopin. D: That’s really an impossible decision but I’ll go with Hunky Dory (David Bowie), Wish You Were Here (Pink Floyd) and something classical like Dvorak’s New World Symphony (István Kertész conducting Vienna Philharmonic) or Swan Lake. D: Overall extremely musical, detailed, natural and most importantly, never fatiguing. The best thing I can say is that whenever I’m amazed it is with the music rather than a component or the system. I think it’s very hard to compare rock/pop recordings with a live event as they are often very loud and distorted, but we are Sydney Symphony subscribers and whilst I doubt any system can replicate the size and scale of a full orchestra, the very best recordings I have are not a disappointment in comparison. TW: Have you considered more serious power line conditioning? D: I’ve got two dedicated power lines into my room. One is for my amp and the other is for the source components. The low voltage input stages of the amp run on batteries which helps with lowering the noise floor. 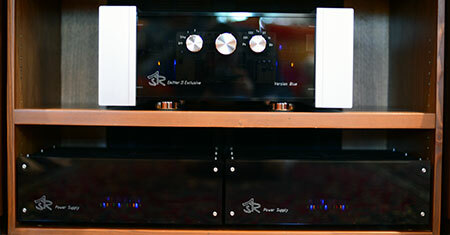 The sources run through a Thor PS-10 power station. I’m happy with what I have at the moment, but that could change. D: Without doubt, after family, music gives me the greatest pleasures in life. A piece of music will take you to a time and place in the past like it was yesterday and fortunately for me all those music related memories are pleasant. I certainly suffer withdrawal symptoms if I don’t get my daily listen of at least 2 albums. D: Each year reading reports on the Munich High End Show it amazes me how many brands and products are out there. 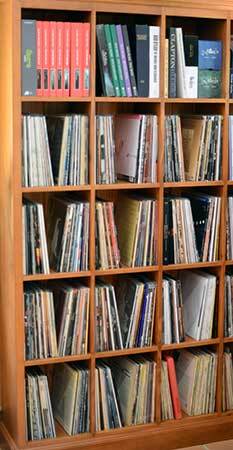 There is obviously an increasing demand for hard-drive type sources but it is great to see the resurgence of vinyl which I think will continue to grow and develop, fuelled by the ongoing release of high quality re-issues and new music. I believe SACD will continue, I think most of the classical labels will continue to do DSD and/or DXD recordings, though I wonder whether Blu-ray will take off. I don’t see high end systems moving away from stereo so I question if Blu-ray can provide an advantage over other formats especially with hi-res downloads gaining in popularity. D: Like most enthusiasts I’m hoping that the industry mainstream will acknowledge the market for better quality music and bring an end to excessive compression and loudness. There needs to be better controls enforced within the recording industry. And I’d really like music sellers to declare the source of their releases and state the mastering processes. Poor practises in recording, engineering and mastering of music are the biggest problems with music today. For anything but background listening, this music really does a dis-service to nearly any HiFi system.